Treading the path of history, while one discovers forts, monuments, palaces lyring marooned in towns and far away places, it is overwhelming when one finds whole cities that were once illustrious, filled with memorable monuments, now slowly withering away. 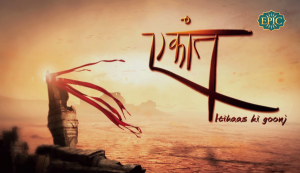 The Epic Channel show, ‘Ekaant’, hosted by Akul Tripathi, in its first season talked of such cities like Vijayanagara, Lakhpat, etc. In Season 2, we learn about some more. Situated about 400 kms. from Hyderabad, this medieval city in Karnataka flourished during the reign of the Adil Shahi dynasty. It was popularly known as the Agra of the South, Deccan’s Florence. A time when people of all faiths lived together amicably, a time when music and arts were given prominence, a time when marvelous, huge structures were built that enhanced the beauty of the place – Bijapur was indeed an illustrious city. Though, now not a completely marooned city, there are many monuments that stand today, which retell the glory that the city had once seen, such as the world famous Gol Gumbaz, Ibrahim Rouza, Asar Mahal, Gagan Mahal, Bara Kaman, etc. The sixth Sultan of the dynasty, Ibrahim Adil Shah II was himself an artist and poet, who wrote ‘Kitab-i-navras’, a collection of poems and couplets where he dedicates the first verse to Goddess Saraswati. It was only natural, that the host Akul Tripathi would narrate the story of Bijapur segmented into Nav Rasa – Nine Emotions. Hasya Rasa, Emotion of joy – When Bijapur was earlier known as Vijayapura and it was established by the Kalyani Chalukyas in the 10th-11th centuries. Later it was ruled by the Yadavas and then the Khilji sultanate. Soon the Bahamani Sultanate took over before the Adil Shahi dynasty ruled for about two centuries. When the muslim rulers came in, Vijayapura was renamed as Bijapur. Adbhut Rasa, Emotion of wonder – When Yusuf Adil Shah, who came to Deccan from Iran as a child, worked under the Bahamani dynasty, learning various skills as he rose up the order and finally establishing an independent kingdom in Bijapur. As Akul says, it is a wonder how a little boy working in a foreign land, grabbed the opportunities coming his way, fought against all obstacles and managed to reach the top. 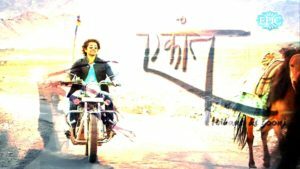 Veer Rasa – Emotion of courage – When Yusuf Adil Shah’s widow, Punji Khatun successfully fought against the prime minister Kamal Khan when he was plotting to kill the minor king Ismail Adil Shah and usurp the throne. After he was killed, his son Ismail Khan too tried to capture the mother and son, but Punji Khatun saw to it that his plans were also foiled and killed him. Roudra Rasa – Emotion of anger – When the fifth Sultan, Ali Adil Shah I ended the Vijayanagara Empire in the Battle of Talikota and extended the boundaries of Bijapur further south. Shringar Rasa – Emotion of love, beauty – When Ibrahim Adil Shah II encouraged aritists and musicians and build many gigantic monuments including the Navras Mahal. 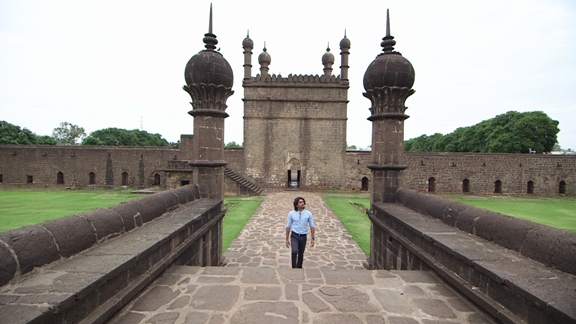 During his reign, Bijapur is said to have had its greatest period. Bhibhitsa Rasa & Bhayanaka Rasa – Emotion of disgust & Emotion of fear – When Ali Adil Shah II’s army commander Afzal Khan murdered his 63 wives, one by one; after he was told by his astrologer that his upcoming rendezvous with the Maratha warrior Chattrapati Shivaji, would result in his death. Two of his wives who heard about what their husband was upto, fearing a similar fate upon them, tried to run away. But unfortunately, one was caught eventually. Saat Kabar (Sixty graves) is said to be the place where his wives are buried. Shaant Rasa – Emotion of silence – When after the capture of Bijapur by the Mughals, Bijapur went silent, slowly settling into the pages of history. Karuna Rasa – Emotion of sadness – When the ones who have heard the story of Bijapur feel sad about the fall of this once illustrious city. Bijapur has had it’s times of valour, it’s times of beauty, it’s times of downfall. It’s large monuments now only stand as a reminder of the great times that Bijapur had once seen. An ancient city, situated in Madhya Pradesh, about 180 kms. from Indore, Burhanpur was a popular city during the Mughal era. Burhanpur is believed to be a populous town from the pre-historic times, its mention found to be in mythological stories. Sage Narada is said to have done penance on the banks of the river Tapti, which flows through the town. 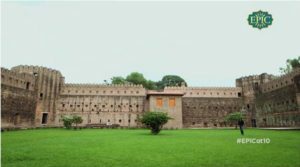 However, historians believe that Burhanpur was established by the Faruqui dynasty in the 14th century. Later when the Mughals came into power, Burhanpur was made the capital of Khandesh under the Mughal regime. Many young princes were appointed as governors and their long stay resulted in building of many monuments which were witness to many love stories. Burhanpur has been the witness to the happy times that Shahjahan spent with his beloved queen Mumtaz Mahal. The city has also been witness to the tragic time when the queen passed away while giving birth to their fourteenth child. 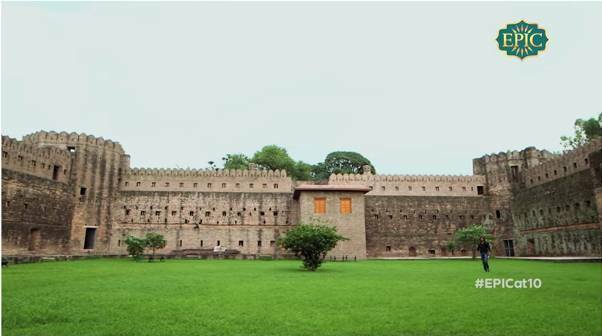 The Shahi Qila along with its Diwan-e-khas and Diwan-e-aam, built on the banks of the Tapti river, stands as a witness today as a reminder of those times. 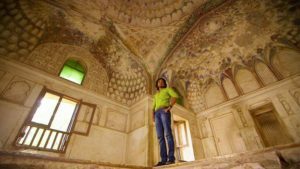 There is also a royal bath place called the Mumtaz Shahi Hamam, built for Mumtaz Mahal, which had provisions for warm as well as cold water flowing through all the time. The monument is also famous for its wall paintings and beautiful artwork. It is believed that the Taj Mahal was inspired by the artwork in the Shahi Hamam. A pumpkin shaped monument, Bilqis Bano Maqbara also has some astonishing wall frescoes on the inside. Another love story, which if allowed to flourish, would have led to a different history, is the affection that Shahjahan had for singer-dancer Gulara Begum. The Gulara Mahal was built for her. It is believed that Mumtaz Mahal’s father fearing the future of his daughter, drowned Gulara in the waters of Tapti. Another unknown story is that of a young Aurangzeb who was in love with Hirabai. But her death devastated him and led him to become the most ruthless and tyrannical Mughal ruler. Another famous monument is the Ahu Khana, where Jahangir’s consort Noorjehan would hunt for deers. Later, when Mumtaz Mahal became the queen, the place was turned into a huge rose garden as she loved roses. Burhanpur has many maqbaras dedicated to many princes and princesses. One of the most striking maqbara of Shahnawaz Khan, subedar of Burhanpur during Jehangir’s reign, called the Black Taj Mahal. Built with black stones, this monument. 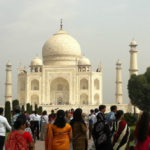 Many features of this monument was adapted into the Taj Mahal. A unique feature of Burhanpur is its water system, Kundi Bhandara, which was built more than 400 years ago. A water tunnel, dug 80 ft. deep with air holes at strategic distances to help the flow of water and bring it to the ground level. It is a wonder that this water system is in an operational state even today. A town with a very common name, but with a history that is unique on its own, Ramnagar is situated about 100 kms from Jammu Tawi, in the Udhampur District of Jammu & Kashmir. Ramnagar was ruled by the Dogra dynasty, descendants of Maharaja Ranjit Singhji. After Jammu was ousted by the Sikh forces, the province was distributed among the three brothers, Raja Gulab Singh, Raja Suchet Singh and Raja Dhyan Singh. Raja Suchet Singh got the territory of Badralta and renamed it as Ramnagar. He rebuilt a palace which is now called Purana Mahal (Old Palace). Adjacent to Purana Mahal stands Naya Mahal (New Palace) which was built by Raja Ram Singh, Raja Suchet Singh’s grand nephew. It is said that after Raja Suchet Singh, Raja Ram Singh was a prominent king of Ramnagar. Raja Ram Singh also built a monument called the Sheesh Mahal. Old Mahal, New Mahal and Sheesh Mahal, all boast of beautiful wall fresoes of the era. But Sheesh Mahal has some of the more intricate art work on the walls, some of them adorning gold colours as well. 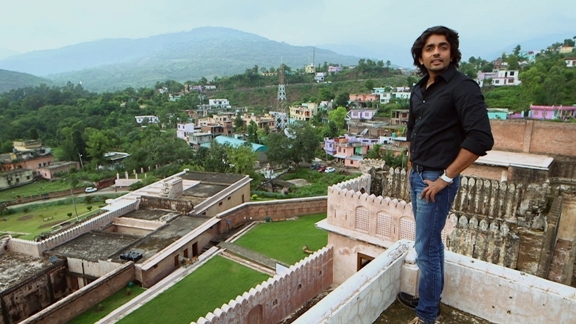 The city also boasts of a fort called the Ramnagar fort. 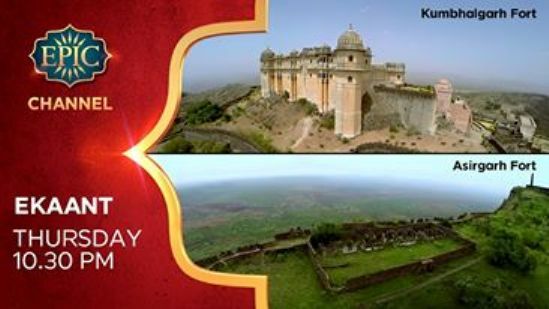 Though not as gigantic as the famous ones around the country, the fort is well built and provided security to the royal family during troubled times. Close to the fort is a solemn monument, a Samadhi (mausoleum) of the widow of Raja Suchet Singh, who conducted Sati after her husband’s death. After Raja Ram Singh’s death and no heir to take over, the town was included in the Jammu province, its importance receded and neglect took over.Though well maintained by the Archeological Survey of India (ASI), the monuments of Ramnagar and its history are slowly being forgotten. As time goes by, the colours of the fresoes are slowly fading away, the walls of the monuments slowly withering away. 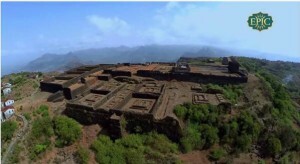 A temple city situated about 36 kms. from Almora in Uttarakhand, Jageshwar, built on the banks of the Jata Ganga river, is famous for its cluster of 124 temples. This reminds one of Bateshwar, which was shown in the first season, where about 200 temples are being restored by the ASI (Archeological Survey of India) However, unlike Bateshwar, the temples in Jageshwar are intact and have not been a target of vandalism or natural calamity. In today’s times, pilgrims make it a point to visit the Char Dham, i.e. the four important pilgrimage places, namely Kedarnath, Badrinath, Gangotri and Yamunotri. But previously, it is believed that Jageshwar was popular as the fifth Dham. Also, the route to Kailash Maansarvoar, the holy lake in the Tibetan region, used to be through Jageshwar before proper roads were built. Jageshwar came into prominence during the ancient times, when Lord Shiva did penance here after the death of his first wife Sati. It is believed that worshipping Lord Shiva in the Linga form originated from here. The Jaagnath Jyotirlinga temple is said to be among the 12 Jyotirlingas and is called the Nagesh Jyotirlinga in the Dwadasa Jyotirlinga Stotra by Adi Sankaracharya. However, there is a dispute that the the Nagesh Jyotirlinga mentioned therein is actually situated about 13 kms from Dwaraka. Another story goes that the Pandavas, before they started their ascent to heaven in human form, conducted their last rites in the river Jata Ganga. They also constructed a temple. 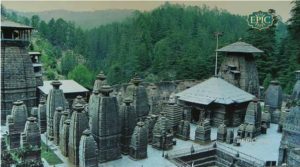 The present temples that can be seen in Jageshwar is said to be built by the Katyuri dynasty between the 8th to 10th centuries. Maha Mrityunjaya Temple is the very first temple that was built in the complex. It is also believed that Adi Sankaracharya visited Jageshwar, laid the foundation of Maha Mrityunjaya Temple and performed many poojas before he left for Kedarnath. In the later centuries, the Chand dynasty took over and continued to built more temples and maintained the temple complex. Now, only in a few of these temples, poojas are performed. Most of the idols in the complex are of Lord Shiva and the rest belong to other Gods and Goddesses. Dandeshwar Shiv temples are also nearby. However, some of the idols in temples were found to be stolen. Therefore, the remaining ones have been kept securely in the Archeological Museum nearby. The importance and prominence of Jageshwar among pilgrims came down over centuries, perhaps because the rule of the land kept changing hands and also perhaps because of the dispute over the Jyotirling. And now very few know about its existence. But as the local priests believe, that perhaps in this Kaliyuga only very few ones are fortunate, owing to their good deeds in their previous lives, that they get to visit this pristine temple complex and get blessed by the deities that preside within. 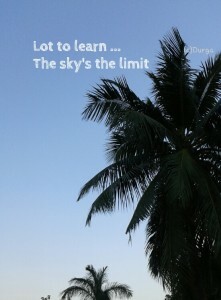 In that case, we can say that the team of Ekaant is indeed fortunate. All the above cities have seen some flourishing times. But now they are on the path of neglection. Time too playing its role here and the monuments are slowly losing their battle of survival. A huge gratitude to Akul Tripathi and his team of Ekaant, for taking us to these places before they completely lost their identities. And because of them I could make my ‘kharicha vata’, my small contribution to let know about these places. First of all take a bow. I am floored again by your style of portraying the Indian heritage. Will be waiting for more on Ekaant. I know I’m asking for more can’t help it acting as a greedy history lover. Thank you from the bottom of my heart 💕 really great. Please keep in touch. Love you. First of all take a bow. I am floored again by your style of portraying the Indian heritage. Special mention for the Navras and when you compared Bateshwar and Jageshwar temples, mera mann ki baat kahi hain. Will be waiting for more on Ekaant. I know I’m asking for more can’t help it acting as a greedy history lover. Thank you from the bottom of my heart 💕 really great. Please keep in touch. Love you. Thanks Keka. Yes, Jageshwar did remind me of Bateshwar because very rarely do we see such a cluster of temples.